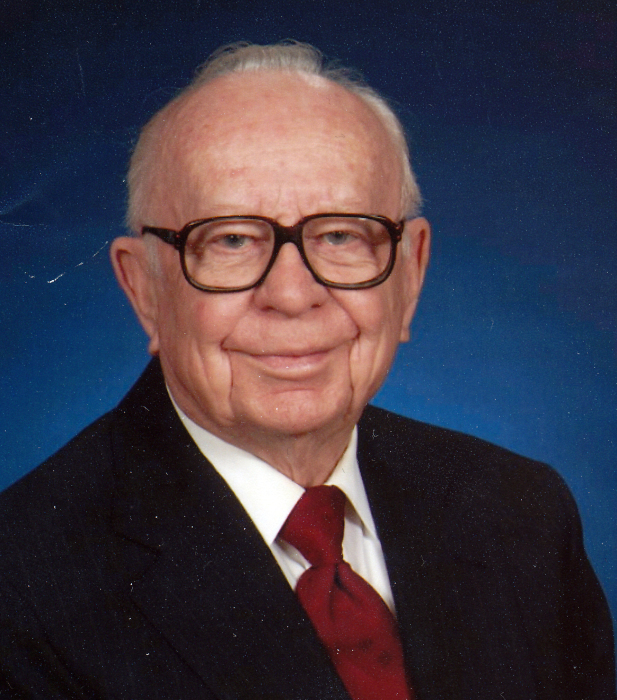 Mr. Hubert Aldon Speer, 94, died Sunday, December 2, at The Waters of Johnson City. He was a native of Greene County and the son of L.B. and Lillie Alice Grant Speer. He was preceded in death by brothers, Vivian Conway “Connie” Speer and Claude Milton Speer, and sister, Mary Evelyn Speer. Aldon was a resident of Johnson City most of his life and attended Science Hill High School. In October 1942, he enlisted in the Army Air Corp and served in Italy with the 759th Heavy Bombardment Squadron during World War II. In 1947, he married the love of his life, Betty Boyd Speer. Aldon served as the Children’s Department Treasurer and as an usher for over 40 years at First United Methodist Church. He was a member of the Big Brother’s Sunday School Class. Aldon worked for the East Tennessee & Western North Carolina Transportation and Railroad Co. until 1977, having over 30 years of service. He then worked as a certified nursing assistant at Mountain Home VAMC for 10 years where he was selected as a top CNA in 1985. Those left to cherish his memory include his loving wife of 72 years, Betty Boyd Speer; nephews and nieces: Gary and Sue Speer of Johnson City, Claudette and Conrad Easley of Dalton, GA, Mike and Betsy Speer of Madison, AL; great-nieces and nephews: Allison and Rick Smith, Ashley Speer, Eric and Lauren Easley,Suzanne Speer, and Caroline Speer; great-great-nephews: Logan and Tristan Smith, Preston and Jordan Speer; and special friends: Dr. Jimmy Ross, Gracia, Katie, and Pepper and Barry Minter. The family would like to extend their appreciation to the staff of The Waters for their care over the past three years; to Mountain Home VAMC and Amedisys Hospice for their care and support; the members of First United Methodist church for their many kindnesses; the Silver Angel sitters for their companionship; and to Angela Evans and Reola Hopkins for their compassionate care and support during the last three months. The family will receive friends on Sunday, December 9, 2018 from 12:30-1:30 P.M. at First United Methodist Church with the memorial service to follow at 1:30 with Rev. Jane Taylor and Richard Long officiating. Special music will be provided by Susan Fields, organist, Dan Mahoney and Billy Walker, soloists. Committal will be held at Monte Vista Cemetery immediately following the service. In lieu of flowers, the family requests memorial contributions be made to the First United Methodist Church Food Pantry, 900 Spring Street, Johnson City, TN 37604.